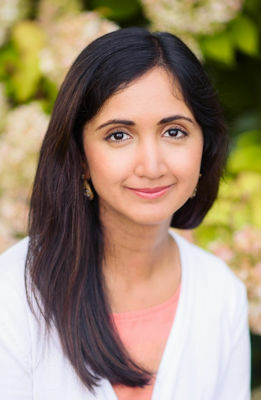 Please welcome Sonia Faruqi to The Qwillery as part of the 2018 Debut Author Challenge Interviews. The Oyster Thief will be published on October 16th by Pegasus. Sonia: When I was nine, I wrote a story about a little girl my own age taking care of pigeons. Sonia: Definitely a plotter! I spent three months plotting The Oyster Thief scene by scene. Sonia: The solitary aspect of it. Sonia: Coming across good writing that inspires me to do better. TQ: Describe The Oyster Thief using only 5 words. Sonia: Mermaid novel of a lifetime. TQ: Tell us something about The Oyster Thief that is not found in the book description. Sonia: As far as I know, it is the world's first fantasy featuring a detailed, real-feeling underwater culture of merpeople. TQ: What inspired you to write The Oyster Thief? 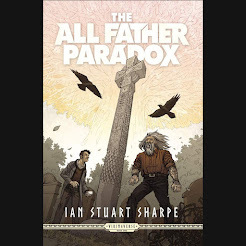 What appeals to you about writing Fantasy? Sonia: The idea of an underwater world fell into my mind on January 1st, 2015. It was a freezing-cold morning in Canada, and I wished I could escape into tropical waters. But it was too expensive to book a last-minute flight, so I decided to escape in my mind. With a cup of tea in hand, I started inventing an underwater world. I like that fantasy allows us to escape without escaping. 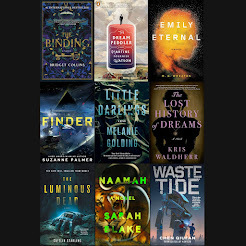 And science fantasy allows us to enter a world that exists (the ocean, for instance) but to which we may have more access through the imagination than real life. 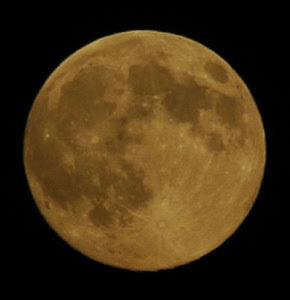 Parts of the ocean are less known than the moon! TQ: What sort of research did you do for The Oyster Thief? Sonia: I snorkeled, scuba-dived, swam with sharks, and pored over books and countless articles about the ocean. 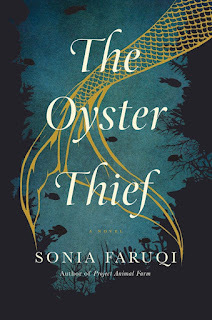 TQ: Please tell us about the cover for The Oyster Thief. Sonia: The cover shows an artistic underwater scene, with a mermaid tail in the foreground. TQ: In The Oyster Thief who was the easiest character to write and why? The hardest and why? Sonia: Coralline, the protagonist, was easy to write in some ways because I could relate to her. Izar, the other protagonist, was a little harder to write because he is an engineer and inventor whose strong suit is physics - not my strong suit. TQ: Does The Oyster Thief touch on any social issues? Sonia: Absolutely! I find that literature can be an important tool for education and social change. 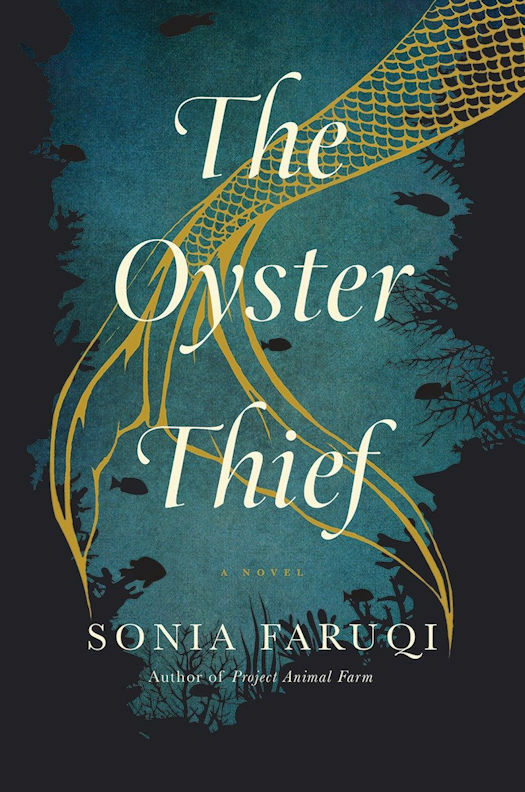 The Oyster Thief touches on themes of ocean conservation. TQ: Which question about The Oyster Thief do you wish someone would ask? Ask it and answer it! Sonia: Hmm.... Why a mermaid novel? Because it would be amazing if mermaids existed! TQ: Give us one or two of your favorite non-spoilery quotes from The Oyster Thief. Sonia: I am considering a sequel to The Oyster Thief. "The mermaid’s scales were bronze, and they shimmered like hundreds of pennies arranged close together. Her immense blue-green eyes gave a look of fragility to her face, yet he found her eyes unsettling. She was leaning against a thirty-foot-long shark, which emerged from behind her and opened its mouth to reveal a great big cavern lined with hundreds of teeth—a black tunnel ready to swallow him." Coralline is a mermaid who is engaged to the merman of her dreams. But when an oil spill wreaks havoc on her idyllic village life, her little brother falls gravely ill. Desperate to save him, she embarks on aquest to find a legendary elixir made of starlight.